A good 120 lumens light output and excellent illumination ensure that the wearer can see far enough during all outdoor activities. When the light's Boost mode is activated, the light output surges to 180 lumens for a short time. 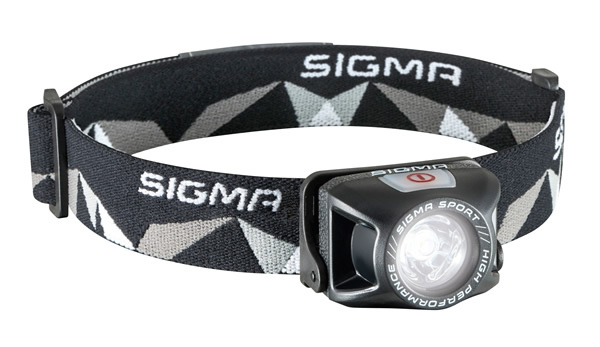 Weighing only 56 grammes, the HEADLED II is one of the lightest headlamps on the market. Due to the flexible and adjustable strap, the light can be steplessly adjusted to fit any head size, thus making it very pleasant both to wear and to use. The supplied charging cable can be used to quickly recharge the HEADLED II via the micro USB port. The HEADLED II has three continuous light modes: Eco, Standard and Power. With the SOS flashing mode, you draw attention to yourself whereas the Boost mode briefly increases the light output to the maximum.